By Brooke Holland, Noozhawk Staff Writer | @NoozhawkNews | November 29, 2016 | 8:43 p.m.
MOXI: The Wolf Museum of Exploration + Innovation is on schedule to open its doors in early 2017, nearly two decades after the project on Lower State Street in Santa Barbara was first proposed. The 25,000-square-foot center will provide a place for people to learn scientific concepts through interactive experiences. Plans include 17,000 square feet of exhibits dedicated to spark interests in science, technology, engineering, arts and math education, or STEAM. Guest can build a race car and send it flying down a custom designed track, make a creation on a high-tech 3-D printer, or feel gusty winds and launch materials up three wind columns. Throughout the museum, there will be surfaces to feel, items to launch, sounds to be heard and more than 70 displays. Once inside the building, the public can also create sound effects for a movie clip, or wander upstairs to experience downtown Santa Barbara on a scenic rooftop, use five observation telescopes, and take in exhibits featuring wind- and solar-powered musical instruments and bubble blowers. The 21st-century museum's exhibits draw on sound, gravity, speed, fundamentals of light, color, interactive media arts and technology. The displays were created by Tucson, Ariz.-based Creative Machines, Roto and the Science Museum of Minnesota, and designed in partnership with Oakland-based Gyroscope. MOXI is still under construction, but displays are making their way into the facility. In late-October, one of biggest exhibits was installed in MOXI’s main entrance window—the Color Mixing Machine. The pink, blue, yellow, red, orange and mixture of colors can be observed from State Street and hangs above the main entrance. Onlookers will also notice the museum name is engraved between the two big arched windows. Nestled between the train station and Hotel Indigo, the facility is three floors tall and includes the rooftop Sky Garden with panoramic views. At MOXI, there will be far more than displays. MOXI will align with classroom curriculum and help student achieve in STEAM learning, Hinkley said. Santa Barbara County school districts, private schools and youth programs including the United Boys & Girls Clubs of Santa Barbara County have created relationships with MOXI representatives. MOXI includes a space where visiting school groups can work on projects and will host children camps in spring 2017. The facility also includes a theater created by UC Santa Barbara's AlloSphere Research Group. "(The community will) playfully interacting with MOXI’s hands-on exhibits sparks curiosity and creativity," said Director of Education Ron Skinner. "(It's) the processes of exploration and self-discovery combined with creative design and making leads to an understanding of how the world works without the need for heavy science content." Located at 125 State St., the museum will house a space for special programs, and after-hour events where people 21 years and over can sip drinks, listen to music and explore science and creativity activities. "MOXI will provide an amazing resource to our community and an entirely unique experience to our guests of all ages," Skinner said. "It is easily accessible to the entire community." MOXI began reaching out to the public to raise the final funds during the summer, and has $1.5 million left to close out the $25 million capital campaign. The donations support the design and construction of the exhibits and facility. General admission for adults will be $14; children ages 3 to 12 are $10; and children under 2 are free. MOXI members will receive a full year of free general admission, discounts and members-only hours. Prices for individual members start at $90 annually. The museum will be open from 10 a.m. to 5 p.m. every day, except Thanksgiving and Christmas. 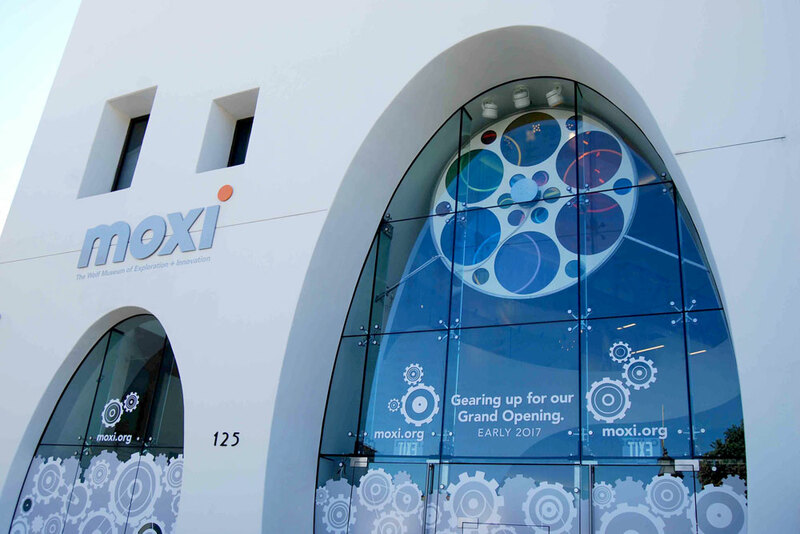 MOXI began when the Children’s Museum of Santa Barbara incorporated as a nonprofit organization in 1990, and the museum broke ground in 2014. Noozhawk staff writer Brooke Holland can be reached at bholland@noozhawk.com .